The Soweto Townships are at the centre of South African culture and music. SOWETO, acronym for South Western Township, is home to over 2 million people, who, despite living in crowded and chaotic conditions, have a tangible sense of community, one which ironically, the ordered, walled northern suburbs lack. 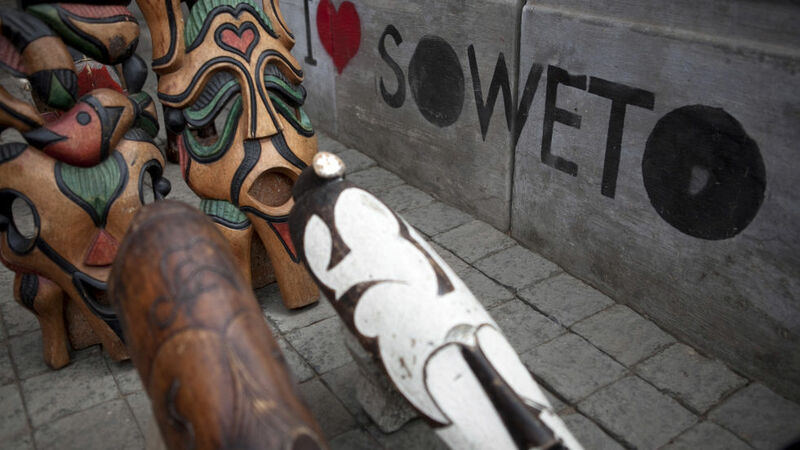 Located to the south west of the “City of Gold”, Soweto remembers the hardships and struggles of many individuals during the decades of Apartheid. It was home to two highly praised activists Desmond Tutu and Nelson Mandela, whose house still stands as a museum. The 1970s brought more turmoil when student protests clashed with the Apartheid police, the tragedy that followed is remembered in the Hector Peterson Museum and honored as a national holiday on 16th June, Youth Day. We also discover the history behind the Regina Mundi Church, the site of many secret underground meetings and the Chris Hani Baragwanath Hospital, named after another iconic freedom fighter who tragically lost his life towards the end of the struggle. Joy and celebration was felt as the FIFA World Cup finally made its way to the continent in 2010, with Soweto hosting the final in what is now Africa`s largest stadium,”The Calabash”. Soweto is unlike a suburb you’ve ever seen or been to, yet the history of struggle encapsulated here is a cornerstone of the South African story. This is the place to gain a true understanding of one of the most important communities within South Africa. This area lends much of the nations culture and music and is a great opportunity to experience some real culture. Excluded: Mandela House entrance fee. I took two day tours with this company and cannot speak highly enough. The Soweto tour was built around a visit I make to an orphanage and our wonderful guide still managed to fit in everything I wanted my daughter to see. We pick up from most hotels in Sandton, Rosebank Melrose Arch and Braamfontein. Transfer from airport hotels can be arranged at an extra fee. Please provide your hotel, contact details and preferred collection time around 08h30 or 13h00 when confirming your tour. How long does this tour take? This is a half day tour. Depending on what time you depart, you will be dropped off at either 13h00 or 18h00. Is the Mandela House Museum included? Unfortunately not. The Mandela House Museum is an optional activity and the entrance fee is not included. Tickets costs R60 per adult and R20 per child. How safe is this tour? Very safe, as this tour is guided by local guides. However, we still recommend to leave all valuables out of sight and to leave big amounts of cash in your hotel room locker. English. Whilst our highly experienced guides have shown persons from all over the world around our country whose first language isn’t English, we can possibly arrange guides speaking other languages. Depending on how many people you’re travelling with a luxury sedan or minivan.